Do you ever feel like you could spend the rest of your life trying to be organized and on top of things, and yet you’ll never get there? Maybe you’ve enjoyed this series, but even these simple ideas seem like impossibilities in the current circumstances of your life? 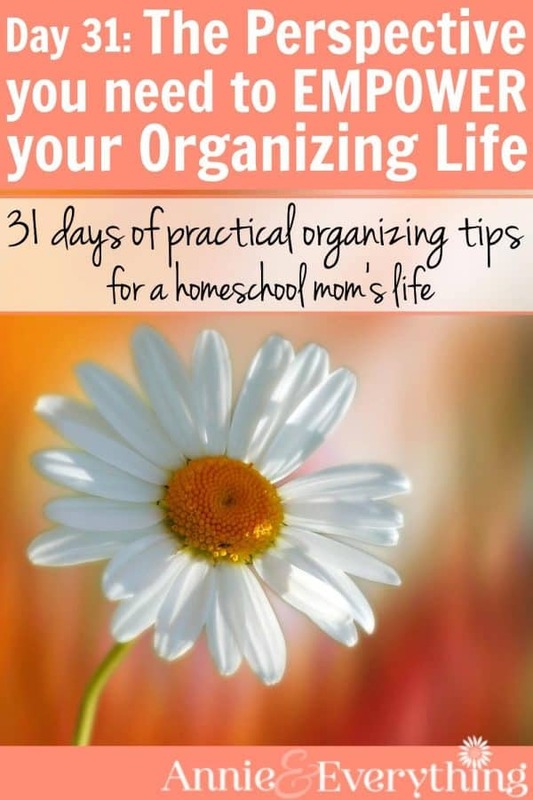 Or are you the type who organizes things down to the nitty gritty — color-coded file folders, inventories of possessions, a form for every task — and you LOVE being that way? 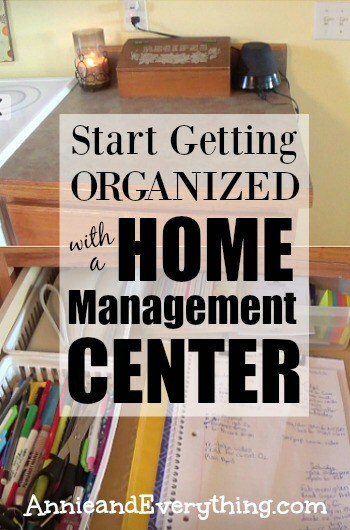 Each day there is a new organization hack to help calm the chaos. 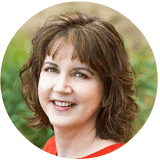 Today, as we wind down this month of organizing tips, I want to leave you with one final strategy that works for EVERYONE. It’s not really a strategy as much as a mindset. A) Those who know me know for sure that I don’t do all these things all the time. Many of my friends and relations are probably wondering how I can even write about this stuff at all, lol. B) We are all individuals. God made us that way. Some things work well for some people; some things work better for others. And frankly, that’s a good thing. C) Sometimes I hate Pinterest. Talk about pressure on your average everyday homemaker. Pinterest is not reality. Pinterest is everyone putting their best foot forward and hoping you don’t look in their closets. Just sayin’. When all else fails, to thine own self be true. What do I mean by this? I mean that if it’s not working for you, don’t do it. And don’t hate yourself if it doesn’t work for you. AND THIS: Remember that every season of life is different. Sometimes you need to be true to the season. Like when you’d like to get all your scrap-booking supplies arranged by theme but can’t even get into the room right now because something fell and wedged up against the door. So scrapbooking (like, at all) goes to the bottom of the priority list because frankly there are plenty of other irons in the fire. THAT IS TOTALLY OK. Leave it. You’ll get to it eventually. And until then, most likely no one else really cares, anyway (not to be mean but just to say it’s okay to be chill about it for awhile). AND ONE MORE THING: If you never get “there,” maybe it’s because your definition of “there” is not really YOU. Or maybe it’s basically unrealistic for anyone no matter who they are. (Remember that Pinterest ideal we just talked about? Yea, that.) Maybe you should be aiming for a different or more reasonable goal. I wrote this series to be a help, not a burden. I wanted the tips to be easy enough to apply bit by bit as needed and as you find new ways they will work for you. Don’t think you should have it all accomplished by now or that you should turn the house upside down to rearrange everything all in one fell swoop (or “swell foop,” as my dad used to say 🙂 ). You can come back often and find something new to work on. Or you can use the series as a reference for when you hit a new organizing issue and need some input on how to tackle it. 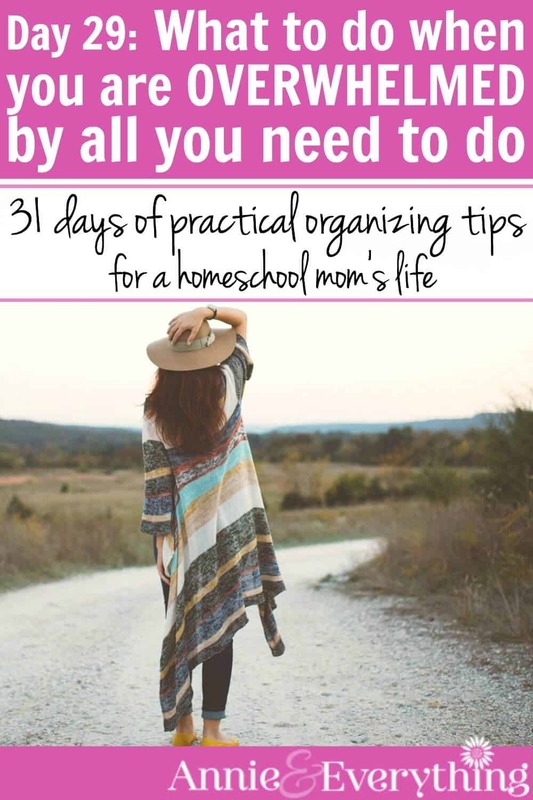 Another great resource for organizing help is my Pinterest board (LOL — just to get ideas, not to try to live up to the beautiful pictures!!) called Orderly Organization. 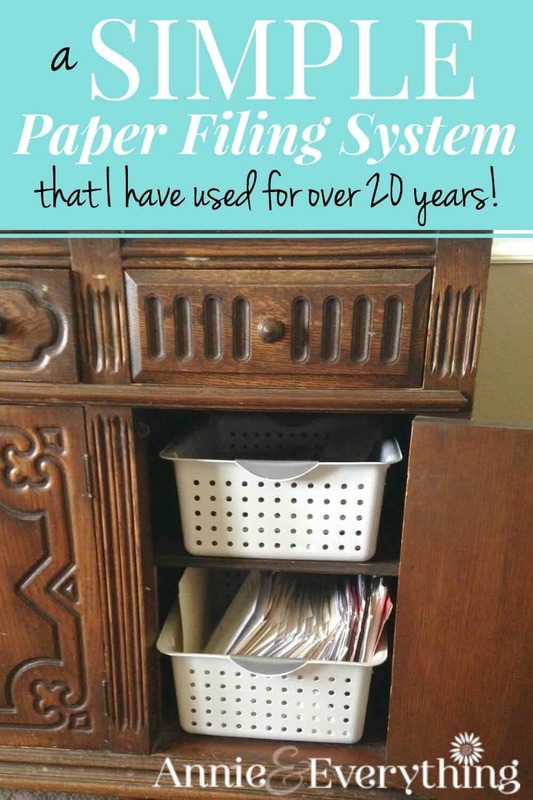 I am constantly pinning new ideas there about simple ways to organize just about everything. Now, I’m not encouraging anyone to be lazy or irresponsible with what they’ve been given to do in this life. That’s not what I mean at all. It’s definitely important to meet our obligations, as well as to try to get better at the things we don’t do so well. But I do want you to embrace YOUR way of doing things. If it gets the job done, and it fits your personality and style of working, then it’s a good thing! If it fails, then there is probably a way to do it that will suit you better. Keep looking until you find it. Thank you Annie for your wise words! Very nice…..all the way around. Thanks for your closing comments, Annie- I did find several tips that I think will be useful, and I appreciate you, so to speak, giving permission to use only those that are suited to me at this time. Other ideas might be suitable at a different time, and I have the collection bookmarked so I can revisit your clutter control concepts again later. Thank you so much for this series! I really needed it!! You have inspired me, helped me, and blessed me in more ways than one! I’ve already started using some of your ideas and look forward to doing more! I appreciate your honesty and your willingness to be your real self to help and encourage others. Thank you! Thank you! Thank you! Really enjoyed your series. Just wanted to say “Thanks”.